Many organizations today are dependent on fast, reliable and secure Internet connectivity, but are struggling to find network security solutions that can keep up with their ever-growing needs. While many rack-mount solutions can keep up with today's fastest fiber-to-the-premises speeds, there are not currently any tabletop security appliances available that have this capability, especially when running with Gateway Antivirus, Intrusion Prevention, and Application Control all enabled. With the release of the WatchGuard Firebox T70, SMBs and distributed enterprise organizations can now leverage today's lightning fast fiber Internet speeds while enjoying industry-leading network security. WatchGuard RapidDeploy takes the guess work out of the firewall deployment process. The innovative, cloud-based configuration capabilities allow WatchGuard firewall and UTM solutions to securely configure themselves. Rather than manually provisioning the device in advance, IT staff can create and store configuration data in the cloud - public or private - and have the appliance directly shipped to its destination. Uniquely architected to be the industry's smartest, fastest, and most effective network security products, WatchGuard solutions deliver in-depth defenses against advanced malware, ransomware, botnets, trojans, viruses, drive-by downloads, data loss, phishing and much more. The flexibility of WatchGuard's integrated platform makes it easy to have exactly the security components your business network requires. 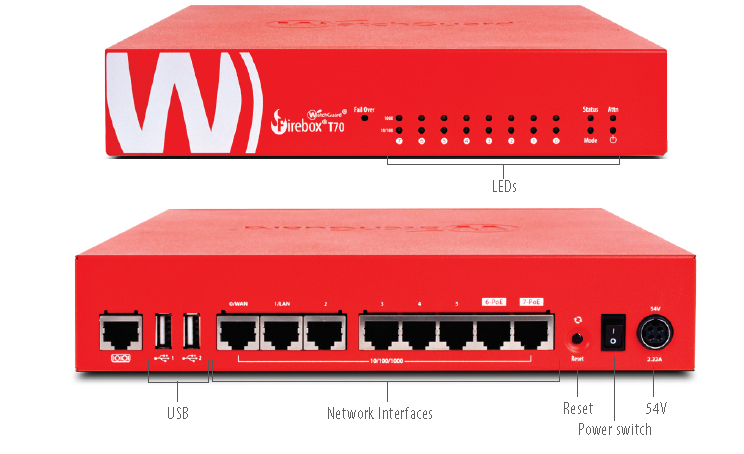 Talk to your authorised WatchGuard reseller about very affordable bundled subscriptions for the Firebox T70. An initial Support subscription comes with every Firebox T70 appliance. Standard Support, which is included in the Basic Security Suite, provides hardware warranty with advance hardware replacement, 24 x 7 technical support, and software updates. 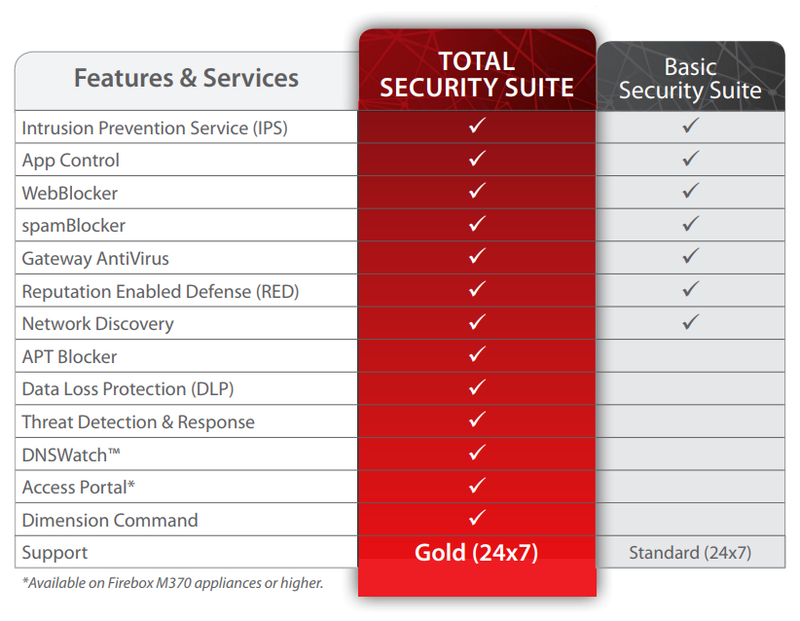 An upgrade to Gold level support is included in WatchGuard's Total Security Suite. *This unit must be used in conjunction with an active non-HA Firebox T70 appliance.